David Blumenthal is a researcher at AIR. His work focuses on helping schools and districts set up systems to support students in meeting educational milestones such as on-time graduation and college and career readiness. Blumenthal’s work includes policy analysis, program evaluation, and technical assistance for state education agencies, school districts, and individual schools. 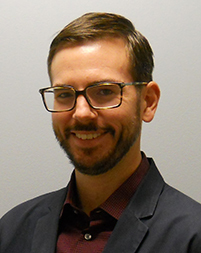 He currently serves as a member of the implementation team for an evaluation of a data-based decision making process designed to identify and support students at risk of not graduating on time. In this role, he provides direct support to school- and district-based staff through professional development and coaching. He also provides technical assistance and training in the use of web-based software for schools participating in that project. In addition to his work in dropout prevention, Blumenthal conducts research and evaluation of education programs in Jewish education using a variety of qualitative and quantitative methods. He currently leads a survey of heads of school, principals, and divisions heads of Jewish day schools throughout the United States as part of the Research Initiative in Jewish Education being conducted by the Consortium for Applied Studies in Jewish Education. Blumenthal previously assisted in the evaluation of the Education Initiative of the Jim Joseph Foundation. As a member of the College and Career Readiness and Success Center, Blumenthal leads the development of an interactive map of the states and their policies and practices for college and career readiness. He has previously written about how states have approached Education and Secondary Education Act Flexibility Requests to support college and career readiness for all students. His current work includes writing on developing and designing career pathways and competency-based education.